How about 50,000,000 DOWNLOADS FOR YOUR APP? We build best in class mobile applications for iOS, Android, Windows, Blackberry and other platforms that perform. Our cutting-edge solutions customize interactive development for every client's need. We craft innovative mobile experiences that delight, engage and drive repeat use. Mobile App Strategy We will help you evaluate the marketplace for your idea and determine the likelihood of success for your mobile app. We will learn in detail everything about your business and how you can integrate your business in a mobile app world. We focus on monetizing your core products and values. Mobile App Design We can help you transfer your vision into a stunning mobile application that reflects your brand and connects with your customers. Our focus on user experience will make your users spend more time on your app, increasing loyalty and purchases. Our goal is to increase the visibility of your brand and increase user engagement to maximize your ROI. iOS Mobile App Development iOS technology is evolving at a rapid rate and our goal is to create an iOS mobile app that will give you an advantage over your competitors. We have the right team to engineer an innovative product with maximum performance and features based on the latest technologies. We ensure flawless compatibility with the latest devices. Android Mobile App Development We attest that your Android mobile application is easily adoptable and reaches a wide audience. Our goal is to consistently be at the forefront of Android innovation and help you expand your market reach and increase your capital returns. Marketing Our goal is to make your mobile application discoverable everywhere and engage and reengage your users. We start marketing your mobile app before it gets published to gain maximum traction. We prepare and engage multiple channels to get exposure and bring loyal customers. We focus on your specific industry, online and offline marketing simultaneously to target your audience effectively. Launch Successfully launching a mobile application is a lot more than just publishing it in Google Play or Apple App Store. Our team of experts prepares for it early in the process by organizing press releases, blog posts, social media content, selection of advertising channels and formation of feedback groups. 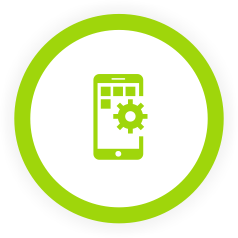 Maintenance Properly maintaining your mobile application is critical to its overall success. Planning is required for updates, improvements and fixes. User feedback and analytics are valuable tools in order to improve your mobile application and maximizing its value. We are there with you 24/7 to ensure that your mobile app performs at its best. Post Launch Development As the number of customers using your mobile application growth so does the need to improve your mobile app. You might want to include additional features and optimize functionality. We will help you plan and implement all new developments, including releases of a new version of your application. We strive to continuously improve your mobile app. 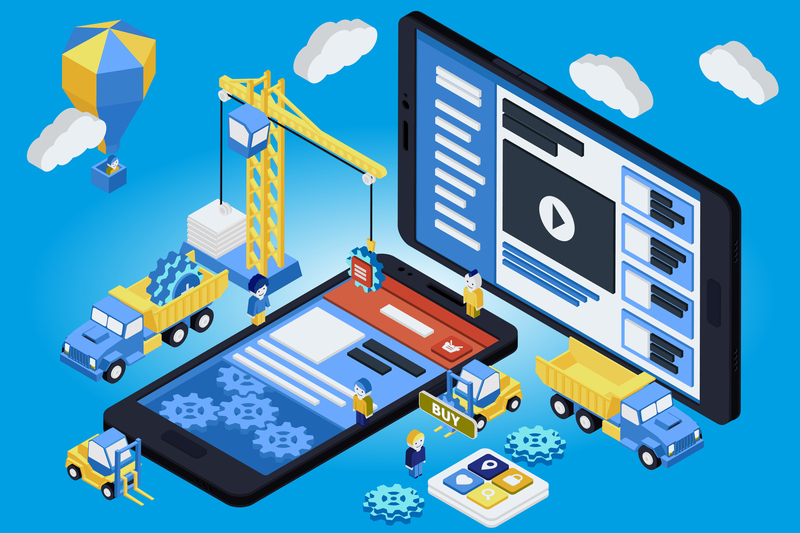 New Logic Technology is a mobile app development company that employs only top mobile app developers to ensure client satisfaction and success. Our app developers in NYC will help you understand what makes mobile apps successful. We also have a very strong team of mobile game developers that created some of the most profitable mobile game apps in the market. Mobile app development requires a team of mobile app designers and top mobile app developers that will create a strategy, monetization options, market research, develop the application, prepare your mobile app for marketing, launch it, maintain it and improve it post launch. New Logic Technology NYC app developers have the necessary experience to guide you through this complicated process and make it look simple. Our mobile game developers have the experience on how to create a game that is engaging and users love. We are mobile app development company that creates top of the line apps at very competitive prices. Our top mobile app developers are very friendly, knowledgeable and focused on your success and the highest level of customer service and satisfaction. Our online marketing mobile application experts will help you successfully distribute and monetize your mobile app.